What the stars have in store: Hold steady. Mercury’s still in retrograde, so to be blunt: zip it. Try not to say anything you might regret later, and avoid making any big decisions if you can help it. Don’t worry - the retro-craziness ends Sunday! The new moon in Leo was Saturday, bringing us a clean slate for new wishes and intentions. Let go of anything bringing you down, tie up any loose ends and look ahead. It’s never too late to think about what you want to achieve this month and get your goals down on paper. People who eat a wider variety of food eat more nutritious foods but also tend to eat way more junk foods. More variety during a meal can also make us eat more than we actually need (sound familiar?). Experts are now saying don’t worry so much about variety. Instead, focus on diet quality. Sticking to a few nutritious foods you really like is better than eating a lot of nutritious foods and a lot of junk. zenTip: Pairing down your menu of options could also alleviate a lot of stress in your life. Really busy people like Obama and Mark Zuckerberg have been known to wear the same clothing every day because they have more important decisions to make. Meal planning can be a job in itself. Don’t feel like you have to bend over backwards every week just because food bloggers keep the recipes comin’. Sticking with your tried and true is perfectly fine and might even save you a few lbs. There is only so much energy you can devote to decision-making in any given day; think about which ones you can omit to make your life easier. Cricket populations are rapidly declining, and some say global warming is to blame. Fertilizers and pesticides don’t help, but it could also be because…. wait for it… PEOPLE ARE EATING THEM. Apparently, their exoskeletons are good for the gut. Next time you’re lounging on a hammock listening to a soothing symphony of crickets, I dare you not to salivate. Getting back on the imperfection train, check out what this girl learned from reading The Subtle Art of Not Giving A F*ck. Just because we’re surrounded by a vision of greatness everywhere does not mean that it is our truth, and we shouldn’t hold ourselves to the extraordinary standards set by society (and social media). The lesson: Accepting mediocrity is the first step to welcoming positivity. If mediocrity and normal-ness are equivalent to failure in our society, how could we ever be happy with ourselves? If it works for you, namaste my friend, but some critics are poking holes in this caveman diet, like how the life expectancy of people before the advent of agriculture rarely reached the age of 40… and how our bodies have drastically evolved since thousands of years ago. No matter where you stand, one thing everyone agrees on is that skipping packaged and processed foods is a good thing. 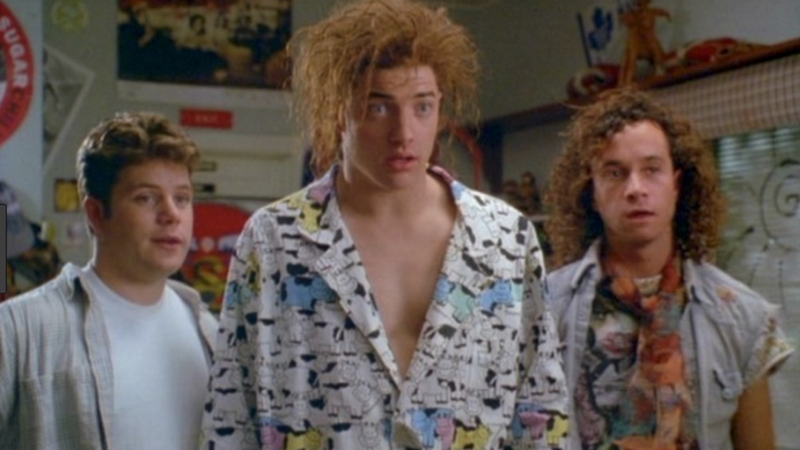 Editor’s Note: This sent me down the rabbit hole of discovering how cavemen once spoke … and ancient images of Pauly Shore and Brendan Fraser. Anyone? Spirituality might seem like something reserved for dimly-lit dens filled with sage and meditation music, but there are actually simple ways to bring spirituality into your normal day-to-day. At work, it’s about being aware of and avoiding things like office gossip, passive-aggressive comments and staying cooped up inside all day. Instead, go for a stroll, take a few minutes to meditate when you feel things getting too heated, and do your best to stay positive with others. We’re in the midst of a content overload these days. With so many people telling us how to look, act, think and feel, it can be really overwhelming—and hard to hear the only voice that matters, our own. This week, I’m sharing how to quiet all the noise and tap into your inner guidance here. Want more? Intuitive Laura Day says strengthening your intuition is all about awareness. Notice your feelings, thoughts, biases and reactivity to certain situations and goals, and allow your intuition to become an objective voice. Read the full article for an exercise you can try to help strengthen it. If you’re having trouble sleeping, get up and write down everything that’s on your mind, anything you need to remember and a list of what you need to do the next day. Doing this before bed should help alleviate any trouble getting to sleep too. Stop squinting! Preventative botox is trending up amongst twenty-somethings, but too much too soon will actually end up aging you since it weakens the facial muscles. If you’re gonna go for it, find a good doc and be conservative... Who knows, maybe “droopy face” will be the new fad one day. Intermittent Fasting, where you go for long periods of time without eating. Supporters say it aids in weight loss and reduces cholesterol, inflammation and blood pressure. Naysayers say it could lead to cravings, preoccupation with food and rebound binge eating, poor sleep, fewer nutrients (depending on the diet) and muscle loss. Virtual doctor’s appointments. Applause, applause. If you’re not paranoid enough this week, find out how safe your drinking water is (as I walk out the door to buy a filter). And the winner is (drumroll please)…………………..